Henry Shiu-Lung Tsang was born on 6 November 1943 near Kiangsi, Guangdong province, China. He was the eldest son of a general in the Chinese Nationalist Army. On 10 June 1972 at Greenwich Catholic Church in Sydney, he married Donna, daughter of KH Pow, and they have two sons. Henry Tsang’s family fled to Hong Kong in 1949 and he arrived in Australia in 1961 via the United States. He was educated at Tak Sing Primary School, Wah Yan Jesuit College in Hong Kong, Vaucluse Boys’ High School, the University of NSW (B. Arch., 1969) and the University of Sydney (Graduate Diploma in Building Science, 1974). From 1970 he practised as an architect and is Principal of Tsang and Lee Architects Pty Ltd. Tsang has been involved in an honorary capacity in various projects such as the Dixon Street Chinatown Mall and th eCabramatta Mall Oriental Plaza and as head consultant for the Darling Harbour Chinese Garden. He is a Fellow of the Australian Institute of Architects. Tsang was vice-chairman and later senior vice-chairman of the Ethnic Communities Council of New South Wales from 1984 to 1990. 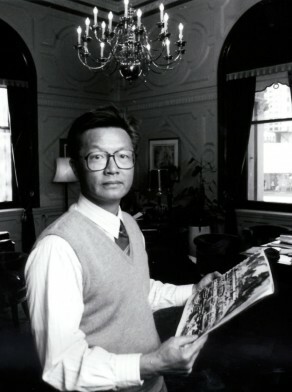 In June 1994 at the request of the British Council as a guest of the British Government, Councillor Tsang attended the 1994 Global Forum held in Manchester. The same year he was appointed to the Prime Minister’s Multicultural Advisory Council and to the board of the Australia–China Council. He has also been a member of the Tourism Task Force, and the Finance Committee of the University of Technology Sydney. Tsang was a member of the National Committee for the 1994 United Nations International Conference on Population and Development and representative of the Australian Local Government Association as Australian delegate to the 1992 United Nations Earth Summit at Rio de Janeiro. He acted as Chairman of the opening conference of the UN Earth Forum in Curitiba,Brazil. Henry Tsang has been a member and office holder of the West Sydney Rotary Club, the Australian Chinese Community Association, the Dixon Street Committee, and the Chinese Chamber of Commerce. Tsang is a Trustee of the Australian Nursing Homes Foundation and an Honorary Life Member of the Returned Service League of Australia. In 1999 Henry Tsang was elected a member of the Legislative Council. His term expired in March 2007. He was Temporary Chair of Committees and sat on several Committees including the Standing Committee on Social Issues. In 1991 he was awarded the Medal of the Order of Australia for his contribution to the community. 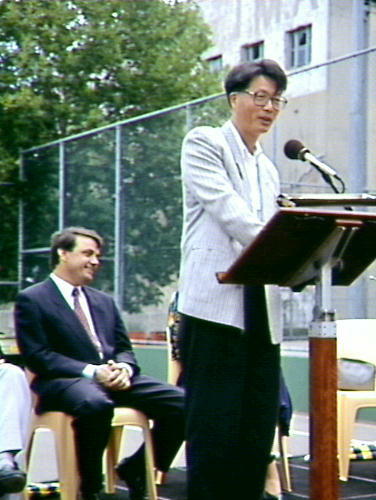 When Henry Tsang was elected Alderman in 1991, he was the first person of Asian origin to sit on Council. He was elected Deputy Lord Mayor in 1991. In 1991 and 1992 Tsang was a member of the Corporate and Community Services Committee and its Deputy Chairman in 1992. At the same time, he was a member of the Finance Committee and the Works Committee. He was the Chairman of the Planning Committee, 1991-92. In 1993 and 1994 Councillor Tsang chaired the Cultural and City Services Committee and was Deputy Chairman of the Finance Committee. He was a member of the Japan Week Inc. Committee, the Sydney-Nagoya Sister City Committee, the Capitol Theatre Committee, the Sesquicentenary Celebrations Citizens Committee, the City of Sydney Cultural Council, and the Sydney Convention and Visitors Bureau. He is a member of the Ku-ring-gai Branch of the Australian Labor Party.